CNE IT Solutions strives for excellence in providing IT services in the Upper Midwest both efficiently and cost effectively! CNE IT Solutions got it’s start out of Communication Network Engineering Inc. (CNE Inc.). CNE has been providing engineering services for over 60 years and delivering robust fiber optic networking and design solutions to telecom providers all over the Upper Midwest. CNE has been providing IT services to these providers that provide internet to many small businesses, so they figured it was a natural migration to support their customers as well. CNE IT Solutions addresses a growing need to help protect clients from growing online threats and help protect their devices, servers, and networks from being the victim of the next cyber attack. Our suite of desktop, server, and backup and disaster recovery services is designed to provide an exceptional level of protection and peace of mind for your business. Founder & CEO Blake has extensive background in all areas of IT including IP networking/routing and desktop/server management. Over the years, Blake has supported networks with a single endpoint to thousands of endpoints. Sr. 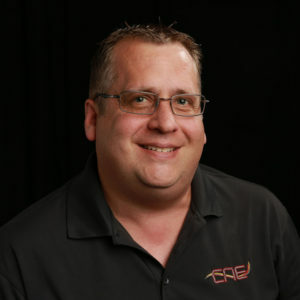 IT / Network Specialist Shawn has over 20 years IT security, system administration, and networking experience covering many industries including financial and banking, software development and consulting, as well as the gaming/casino industry. Shawn has worked with and supported company IT and IT security needs ranging from one to over ten thousand employees. Contact us today to get a complimentary network assessment.